Naoya Inoue (井上 尚弥) the prodigious Japanese boxer, is a three-weight world champion. Nicknamed “The Monster”, Inoue is known for his devastating punching power and brutal body attacks. 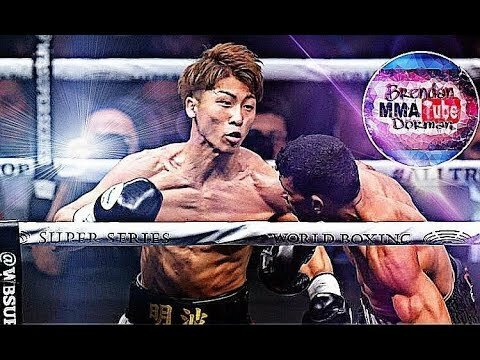 Inoue is ranked as the world’s best junior-bantamweight by The Ring magazine, and also currently ranked as the world’s sixth-best active boxer, pound for pound, respectively. At only 25 years old, and a record of 17-0 with an absurd 15 KO’s (many in the early rounds) amidst competing at anywhere from 108 to 118 pounds (max), Naoya is setting the “lighter weight” boxing world on fire with a combination of speed and power very rarely seen from someone 5’5″ 110 lbs. In regards to his skill set, grounded in excellent fundamentals offensively and defensively, his jab has laser accuracy, and his body work is already the making of legend. In (western) boxing it is vital to build on a foundation of 101’s in the quest of exploiting and extrapolating from any potential outlier ability. Without his balanced footwork, incredible jab, and defence he wouldn’t get the chance to show off his freakish power. If you’ve read this far, I’d think watching the video would better make sense of it all for you, let’s begin, shall we?